For external coverage, photographs and video links, please scroll down. 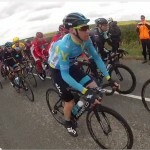 ‘Welcome to Yorkshire’ and Amauray Sport Organisation, supported by British Cycling, organised a new, world class professional cycle race in Yorkshire. 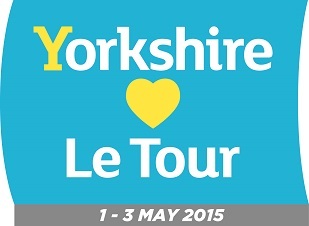 The “Tour de Yorkshire” was a three day race and its inaugural edition ran from 1 – 3 May 2015. Newbald lay on the route of Stage 2 and on 2 May 2015, some of the world’s leading cyclists passed through the village. The so called ‘Côte de North Newbald‘ (otherwise known as Burgate and High Hunsley Road) was one of only two categorised climbs on stage 2. Newbald was the only place on stage 2 where there was a climb in a populated area, making it the perfect place to come and enjoy the race. 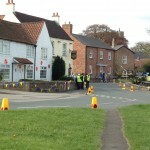 The village prepared ahead of time, with many committed volunteers decorating the village with bunting, spots and signage. It looked fabulous! On the day, Newbald welcomed hundreds, if not thousands, of visitors and the atmosphere was vibrant and welcoming. The various charities in the village did an excellent job in providing a wide range of refreshments. 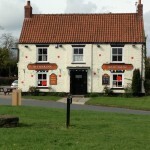 In addition, The Tiger Inn extended its bar capacity, selling drinks outside, as well as holding a barbeque. 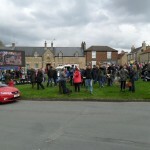 The Parish Council paid for a large screen, which added to the atmosphere. Thank you to everyone who helped to make the day special. Cycling Weekly says that “North Newbald offered a great spot for spectators to view the pelaton” (click through and scroll down to see their great picture). 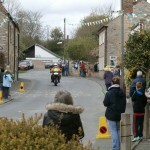 A video of the race going up High Hunsley Road. 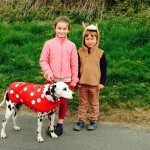 Highlights of the ‘Tour de Yorkshire’ passing through the village by one of our residents. Great music! 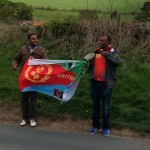 The Tour de Yorkshire as it heads down Galegate – Part 1 – the leading party. 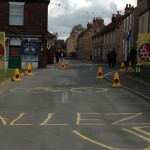 The Tour de Yorkshire as it heads down Galegate – Part 2 – the main part.